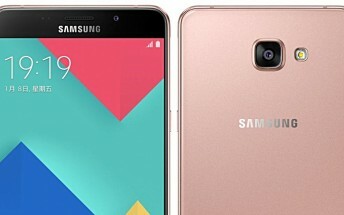 Early last week, there were reports that Samsung is working on a Pro variant of its Galaxy A9 smartphone. The variant was said to carry a model number of SM-A9100. Now, the device has been spotted on India's import-export tracking website Zauba. As is the case usually, the Zauba listing of the handset doesn't reveal much, except that it sports a large 6-inch display and carries a price tag of INR 24,179 (around $360). Keep in mind, however, that pricing information on Zauba is not always precise, and that seems to be true in this case given that the standard Galaxy A9 costs $490. As for availability, previous reports have suggested that the Galaxy A9 Pro is aimed at the Chinese market. The standard model - which was launched around Christmas last year - is also currently only available in China.